To furnish the diverse requirements of our clients in the best possible manner we are involved in offering an extensive range ofRailbound Furnace Charging Machine. An specially designed furnace charging machine suitable for charging of aluminium scrap in to the Skelner furnace is made out of heavy duty MS structure. A charging bucket of suitable cap. is provided. one hydraulic cylinder is provided in centre with guide rod to charge aluminium scrap inside the furnace. - To feed the material into Rotary Furnace a motorized screw conveyor type charging mechanism with Hoper, made by M.S. Plate, with support structure of steel section is provided. 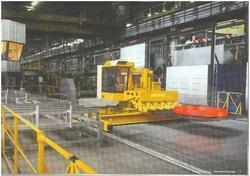 - To – fro moment of Furnace Charging Machine will be on fabricated Track and driven by electric motor. We specialize in offering a wide range of Charging Machines. These are available as per the requirements of our clients. We use quality approved raw materials for these machines. These are known for their excellent quality, durability and performance. Hence, with technological advancement we have made our product being accepted by all our clients. Hawker provides a wide range of advanced charging systems for all traction battery applications. All chargers are equipped with microprocessors to control the charging process. Tough powder paint coatings and electrolyte resistant membrane keypads are, of course, standard, as is full CE conformity. We are highly acknowledged organization engaged in presenting remarkable range of Portable Nitrogen Charging Unit. Furnace charging machine help to production as fast in low manpower. Its useful for low cost of production. With the help of our qualified team we are dedicatedly involved in supplying high grade series of Single Barrel Mobile Charger Machine. These items are developed using sophisticated technology and supreme quality basic material. Our products are recognized among customers for its high efficiency, low maintenance and durability. 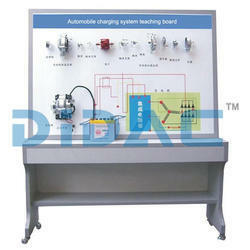 Due to our specialists and rich information, we are intensely positive in presenting Battery Charger Machine.